Technically it is spring, but with temperatures stuck in the 40s and 50s and rain bordering on snow still putting a damper on lusty month of May days, it is a time I will dub, “Before Spring.” As such, nature is in a major lull. Sure, daffodils and crocuses, hearty little souls that they are, are popping up and waving bravely in gusts and downpours and the grass grows wildly, begging for its first cut of the season. But in between the rain and wind, I make my way into the woods, new camera in hand, to capture what I find ‘before spring’ beautiful. 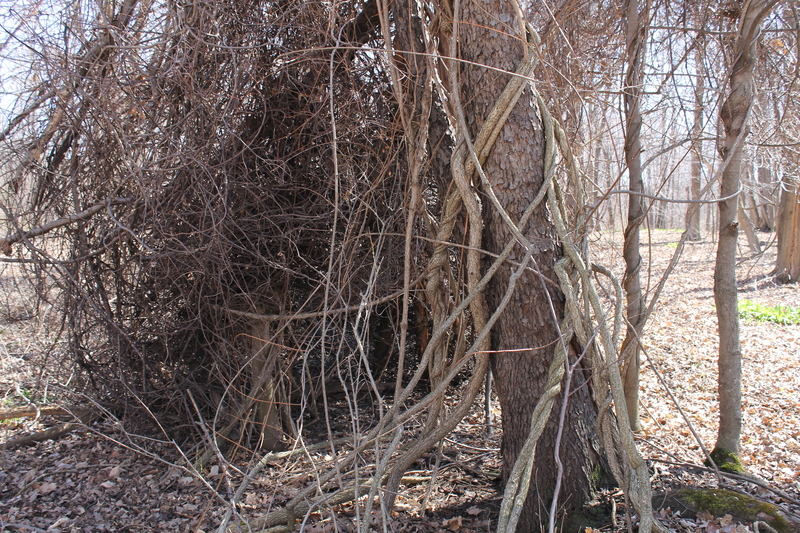 For some odd reason, I am into the twisting, clawing of the vines that snake their way throughout these woods, clutching hold of everything in their way. I find them beautiful, artful, in the unique, somewhat grotesque ways they grab hold of their prey. 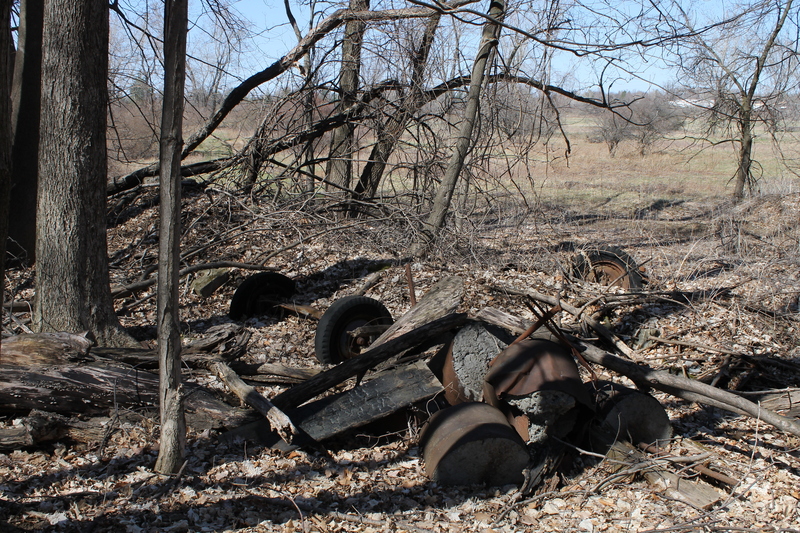 There is also the ‘old stuff’: rusted archetypes of cars, barrels, and whatever else was tossed in years past. In principle, I am appalled that someone dared to mar, ‘my’ woods; on the other hand, I find this pile of old junk oddly beautiful, lying in harmony with the still stark ‘woods before spring’. Soon, though, the junk will be secreted by the lushness of the woods in its full spring regalia! Isn’t it strange how the nakedness of the woods before spring parallels the bare truths of our own lives?